The map below is based on data by the European Space Agency (the CCI project). 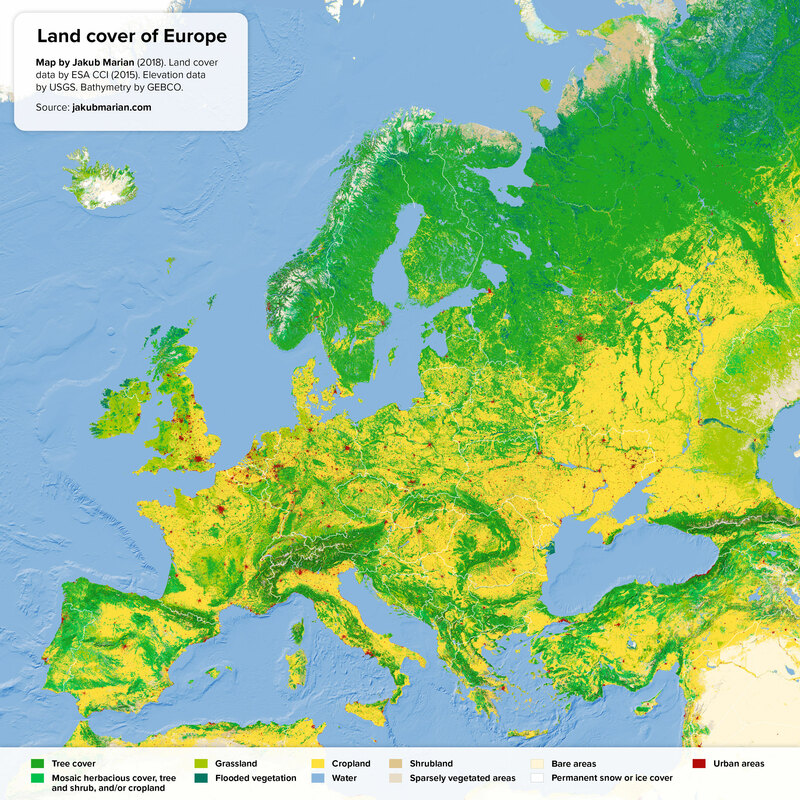 It shows Europe and adjacent parts of Asia and Africa with colouring representing various types of land cover (such as forests, cropland, water, etc.). Shading (darker areas) represents elevation (mountains). I have also made much more detailed maps of land cover of the Western Alps and the Eastern Alps. One important feature to notice is the vast area of cropland, especially in Ukraine and Russia. As we will see in my future maps, the only other region in the world covered so heavily with cropland is the Indian subcontinent.